It's hard to believe Stampin' Up's Happy Watercolour set won't be available after June - it's one of my favourite sets ever! This is quite a layered card for me but there's lots of 'white' space so it remains nice and clean and simple. 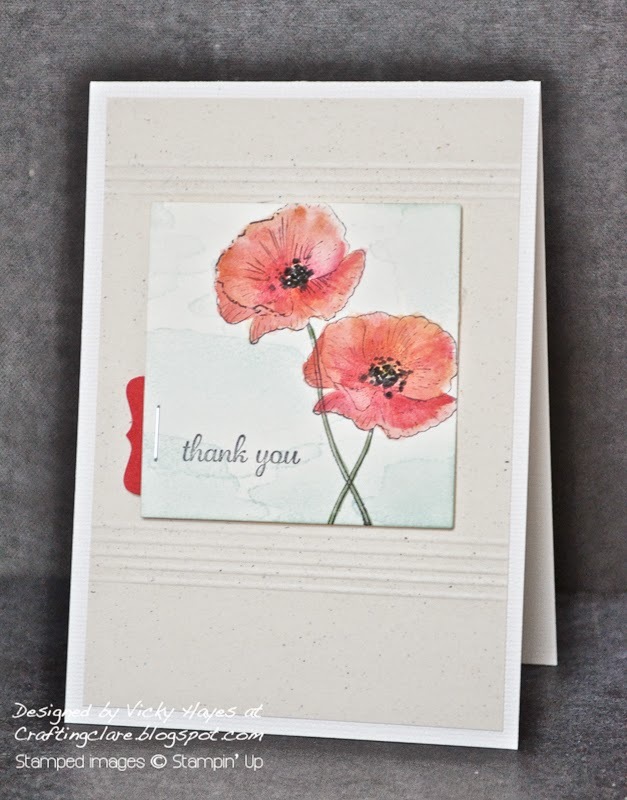 I stamped two of the poppy image using black stazon ink and watercoloured them with an aquapainter and inks. Once they were dry I added a background using the splodge image in Soft Sky, stamping off each time I stamped, and finished with the sentiment. Adding a punched tab adds interest to a card - this one is made with Stampin' Up's Decorative Label punch - I've scored the mount for extra detail. I enjoyed making this card so much that I made another, using the orchid image from the same set! I'm rather fond of our room though, so I don't think I'll be redecorating in Wisteria Wonder with accents of Crushed Curry and Melon Mambo just yet! * Click here for loads more Happy Watercolour ideas. I'm in the middle of redecorating my youngest son's bedroom. The boys shared a room when they were small until my eldest son complained he couldn't get to sleep because his brother was breathing! I moved him into a room of his own at this point so my youngest son managed to get the large room all to himself. I've just changed the bulky wooden beds to ziplock divans so that we'd have the option of a superking bed or twins when guests come to stay, so naturally my son chose to keep the bed as a superking. He's not the largest of boys and he looks like a little princeling when I wake him in the mornings! Beautiful cards Vicky and wonderful colours. Oooh! what fabulous cards Vicky! 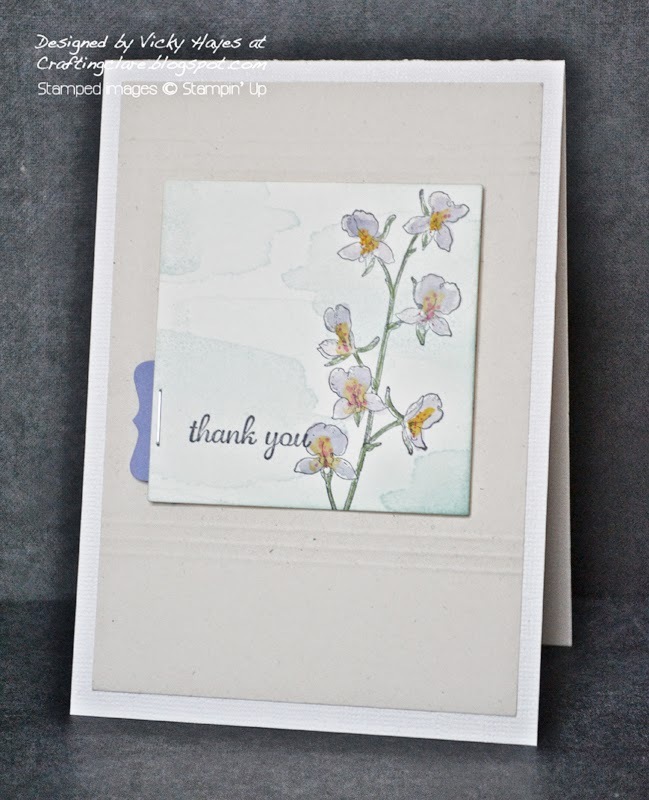 Beautiful cards - love the soft watercolouring and tabs on the side! That poppy image is so elegant.